I gave myself six full weeks after the baby came to rest and recover. The sole amount of activity I did was walks after two weeks, very light tempo runs after 3 weeks, and yoga around the same time. It was decision I had made long before he came. I was going to enjoy my time with him and take my time getting back to where I wanted to be with my body. I wanted my recovery to be full. Not just physically, but mentally as well. Every woman should read this. 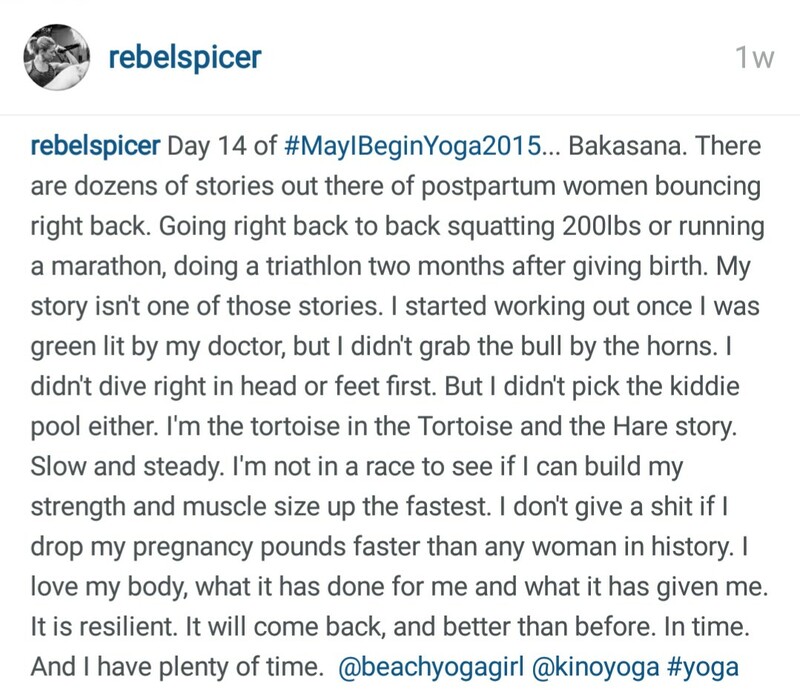 Your health is not a race. Take it at your own pace! Then, after six weeks, I gave myself another six weeks of light, full body workouts. The goal was to get my body moving, get my form back on target. Get used to this new body of mine. Twelve weeks. That’s what I gave myself. Twelve full weeks of healing throughout, and practicing patience. I knew when I went back to work, time with my baby would be less. I couldn’t take an hour out in the garage for a full body workout. A full hour away from him, added to the other hours I would be away from him, which included work and other moments throughout the day for “mommy time”. My body responds better to splits to begin with. And the glaring reason why I prefer splits to full body? Muscle imbalance. As an athlete, my skills were only required to be honed in primarily on one side. My dominant side. After the first week of my new workout, adjusted for splits, and after my husband finally hung my old vanity mirror on our bathroom wall, I checked myself out in the mirror. And there it was. Right there where your arm meets your chest and near the collar bone. My right side was taking shape beautifully, and there was my left side, late to the party. It pregamed it a little too hard and is a little slow now. There are plenty of ways to correct muscle imbalances. But, they all work differently for the individual. Over the years, I have found single limbed movements to be my best success. So, for the next 10 weeks, my upper body program with arms and shoulders, where my imbalance lies, I’m focusing on dumbell or kettlebell movements that make me move one arm at a time. 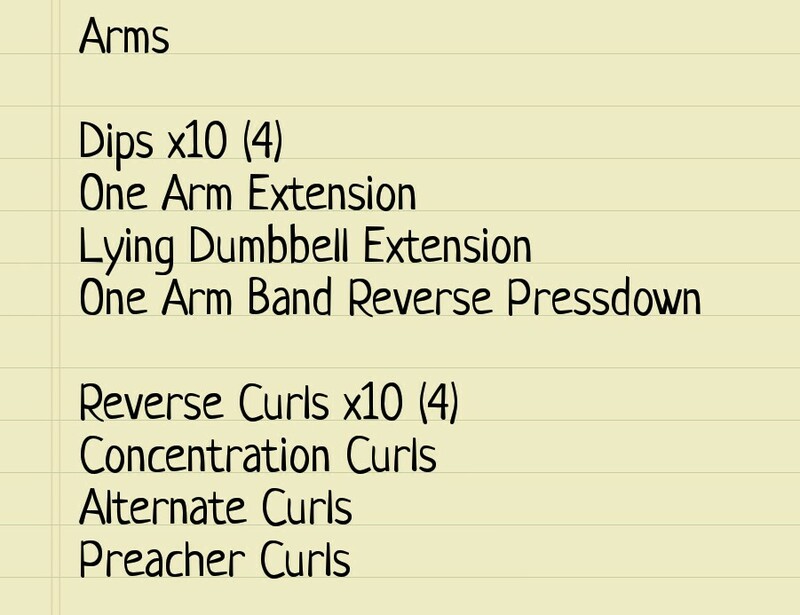 One of my current arm workouts that keeps me focusing on single limb movement. Why? When you’re holding a barbell, and one side starts to run out of steam, the other compensates. Or, your form on both sides is different. This causes the muscles to work differently. By using single limb moments, you can concentrate on proper form/movement. You can also recognize, when in a set, where the muscles on that side begin to fail. At that point, you can either compensate by doing the remaining reps in smaller sets and adding more overall sets in order to help keep the form “pretty”. Or, you can play down the dominant side by cutting off reps where the imbalanced side fails. Then, once the imbalanced side evens out, begin slowly adding more reps to the workout.